Beautiful Jane could only be named this after her beautiful and caring namesake. Someone who is always there no matter what, loyal patient and caring with always a kind word and listening ear. We have used the most luxurious and most expensive fabric to date within this collection but it really shows when you hold her in your arms. 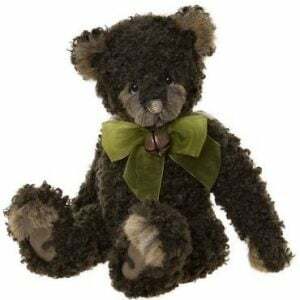 Just like Esme she has the most adorable face and is one of those bears that once picked up is VERY difficult to put back down. 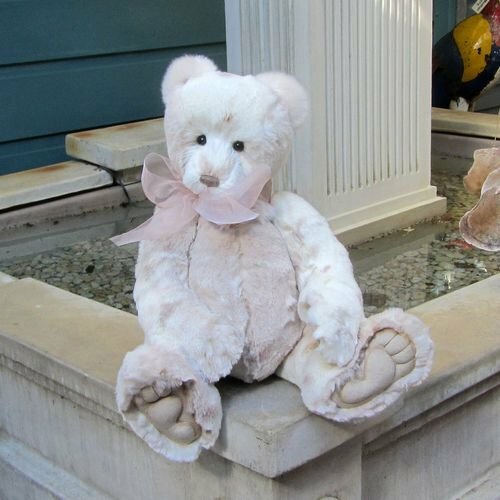 She wears a very pale pink organza ribbon and has no need for a pedicure with her perfect paws. Thank you Jane and the rest of the group, you helped us through a difficult time and this is our gift to you.